01 Jun What Is Empowered Economics™? There is no shortage of financial advice available today, but that has not led to economic success for most. The world we live in has become smaller, and with the advent of technology and the internet, information can easily be ascertained. However, we now have a new hurdle, filtering what information is true vs. that which is meant to mislead and benefit another party. 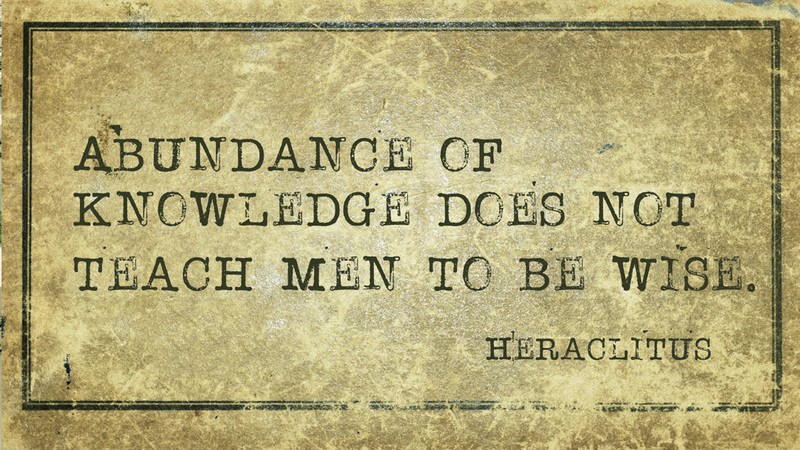 The ability to rapidly absorb, digest and discern information is paramount to success in the financial world. Too many Americans are having trouble saving for their own needs and wants while struggling to pay down debt and keep up with the rising costs of healthcare and college educations. Many are saving in their 401ks and other qualified retirement plans, crossing their fingers that it will be “enough.” Even those considered comparatively well-off are generally uncertain of the best way to grow their strengths while shielding instabilities, and taxes. EMPOWERED ECONOMICS OFFERS A WAY OUT OF THE MAZE. It does not aim to help individuals succeed better at strategies that are defective; instead, it offers a complete paradigm shift about wealth-building. Empowered Economics™ questions the financial premises we have begun to accept as accurate and offers an option to “typical” financial planning. EMPOWERED ECONOMICS™ – WHAT IS IT? Empowered Economics™ hasn’t been so much found as it has been rediscovered. Empowered Economics™ uses common sense principles and strategies that preceded the growth of the financial planning industry and 401k’s. It shows us how to optimize wealth by keeping it in our management instead of delegating our financial futures to the self-proclaimed “authorities” such as large corporations, government, as well as Wall Street. Empowered Economics™ can use conventional wealth-building tools like investing in real estate, and owning a business, and saving, borrowing and transferring wealth with dividend-paying whole life insurance. It’s NOT gambling on Wall Street, or putting your nest egg into retirement programs where the government gets to tax them later. Its a hollistic way of thinking paired with non-traditional knowledge and use of financial products that keep you in control of your money. Hand over your entire savings to businesses who’ll bill “management fees,” whether or not your funds are gaining or losing? Take tax deductions by placing cash in a retirement plan that is qualified, and then potentially pay more taxes after? WE FOUND THERE IS A BETTER WAY. 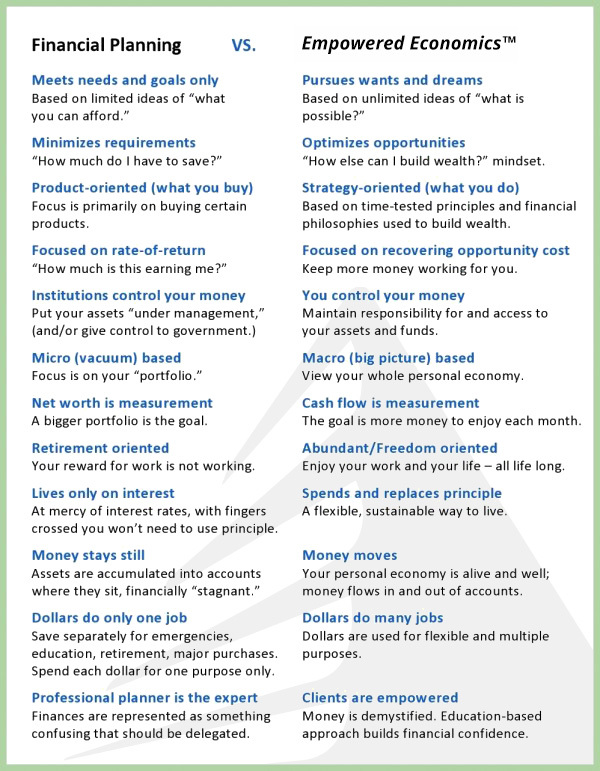 We practice Empowered Economics because we do not believe that “typical” financial planning works very well! Generally-accepted financial guidance frequently doesn’t tell the “whole truth” about your cash, plus it will not do a really good job of protecting your cash, either. Truvium Financial Advisors utilize Empowered Economics™ in our proprietary process, Empowered by GENIUS™. Our primary goal is to educate and empower our clients with the same knowledge and understanding of money we have. For more information on the 7 Principles Of Empowered Economics™ or to learn more about the true nature of money, concepts the banks, government and financial institutions don’t want you to know, visit our free online resource center. If you’re ready to turbocharge your financial confidence and work closely with a Truvium Financial Advisor contact us to investigate how Empowered Economics™ can assist you too! Material discussed is meant for general informational purposes only and is not to be construed as tax, legal, or investment advice. Although the information has been gathered from sources believed to be reliable, please note that individual situations can vary. Therefore, the information should be relied upon only when coordinated with individual professional advice. This material contains the current opinions of Truvium Financial but not necessarily those of Guardian or its subsidiaries and such opinions are subject to change without notice.